Product contains milk, wheat, egg, and soy. Produced in a facility that also processes peanuts, seseme seeds, and tree nuts (pecans, almonds, coconut, cashews, walnuts). Treat someone special to a big basket of birthday treats! 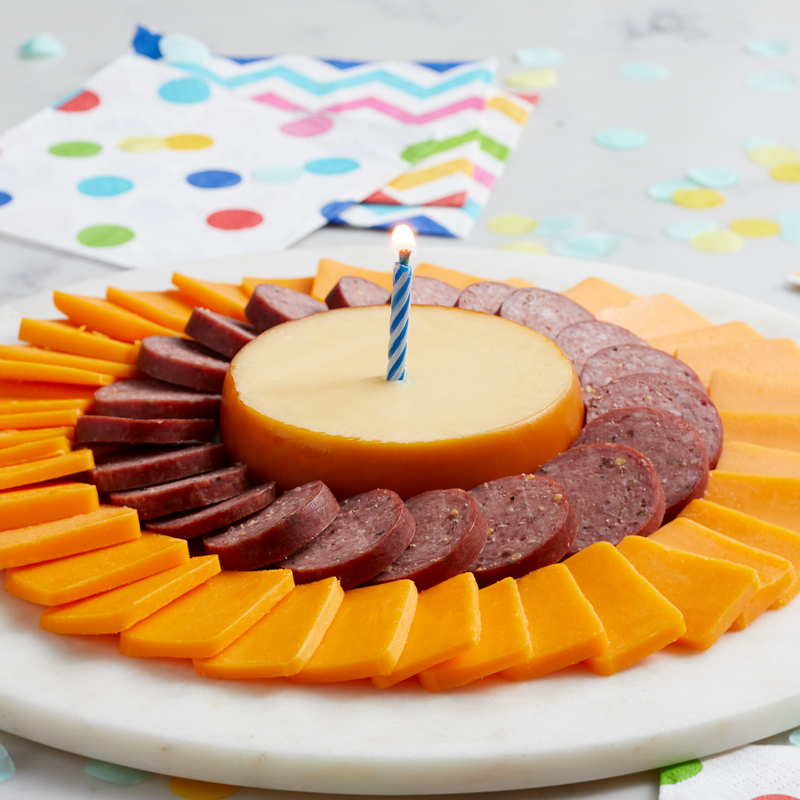 This collection has something for everyone–crisp fresh fruit, Hickory Farms favorites like Signature Beef Summer Sausage, and Farmhouse Cheddar and Smoked Gouda Blend cheeses, topped off with sweet treats. 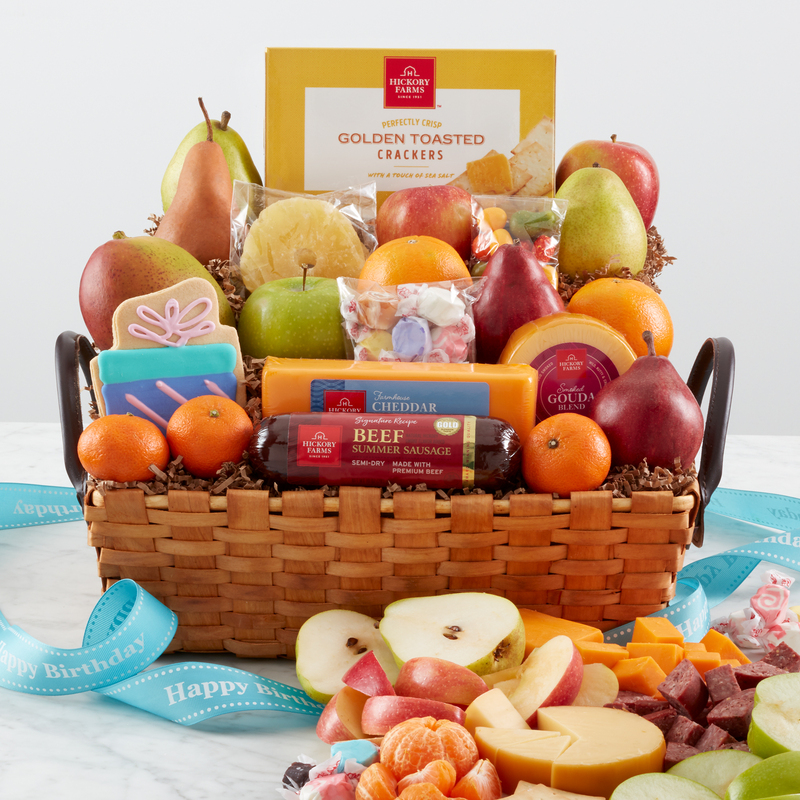 Have this birthday gift basket delivered for a delicious celebration they'll love sharing with friends and family.